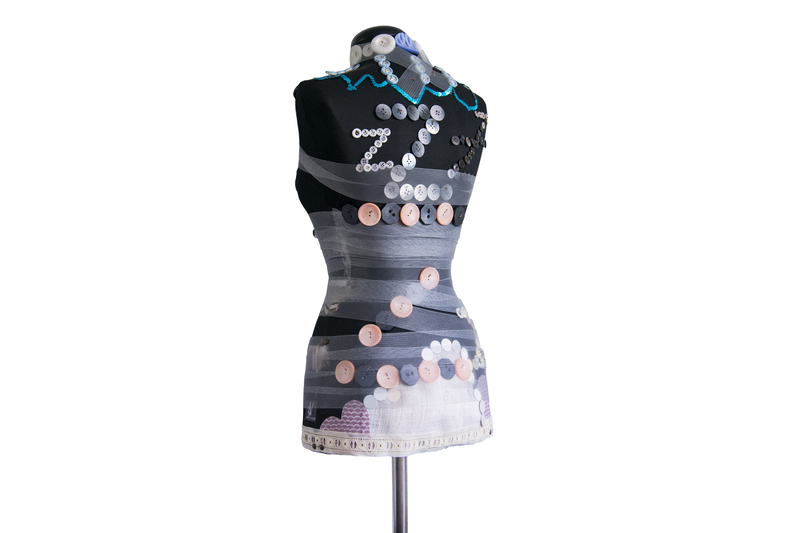 The mannequin is a tribute to our night-time dreams, and to the ironically passive activity of dreaming. 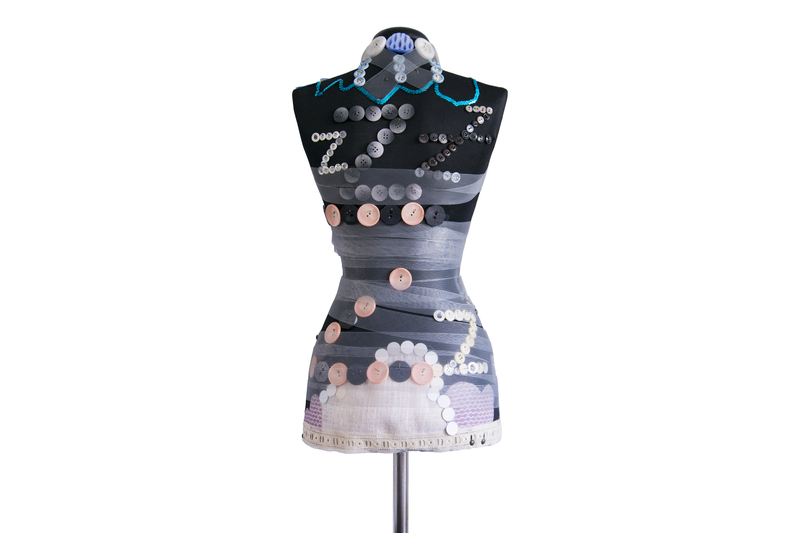 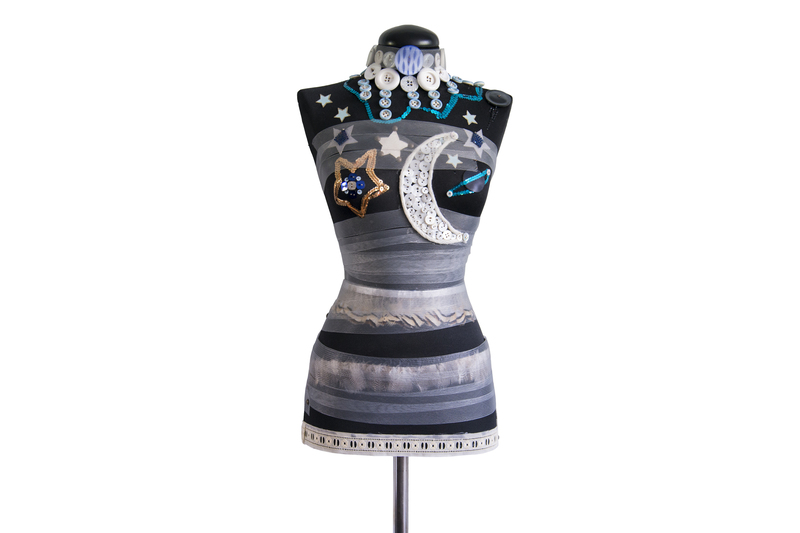 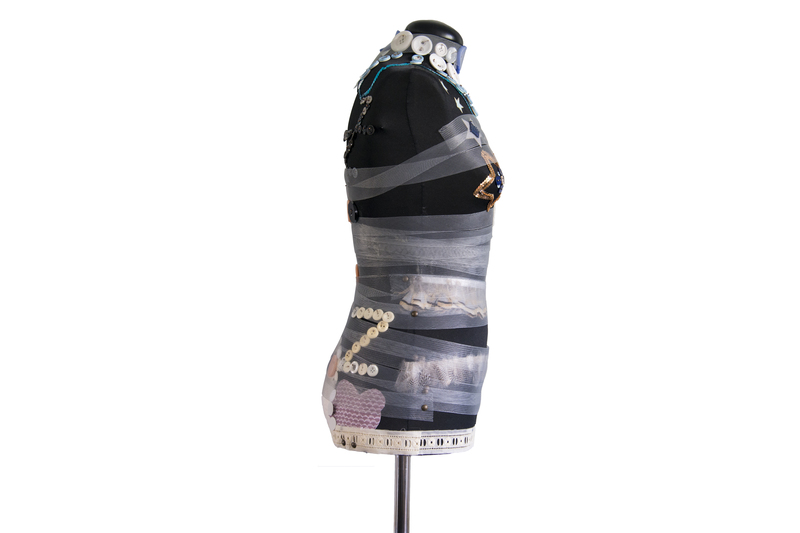 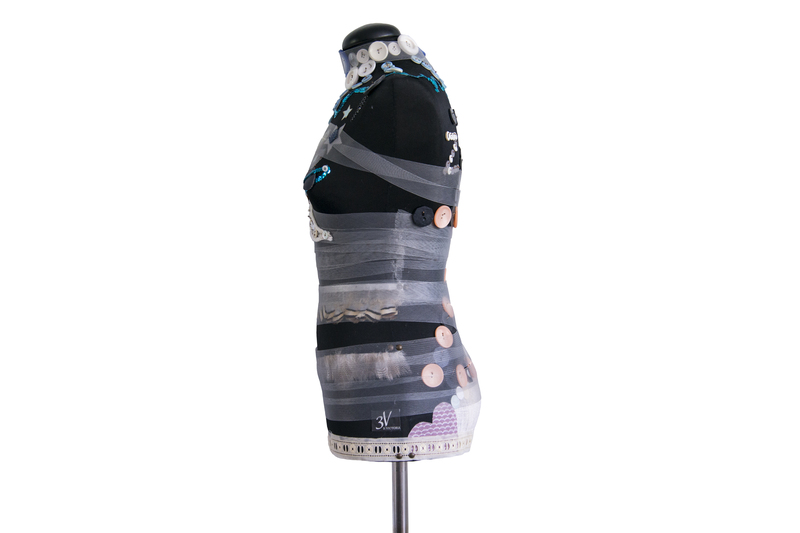 The back of the mannequin incorporates Z-shaped motifs that express the momentum, or the direction, of our dreams. 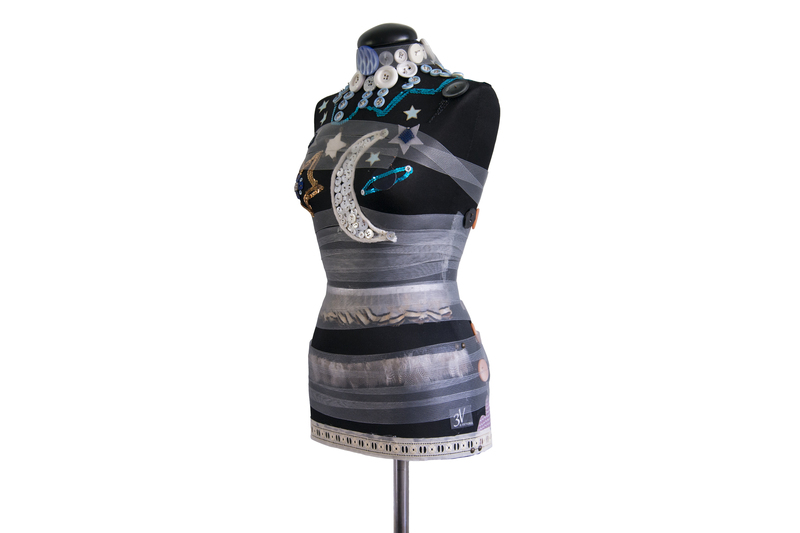 The front uses a dark sky, embellished with a half moon, a lonely planet, shining stars and soft clouds to show the destination when falling asleep, with the dream acting as the metaphorical vehicle. 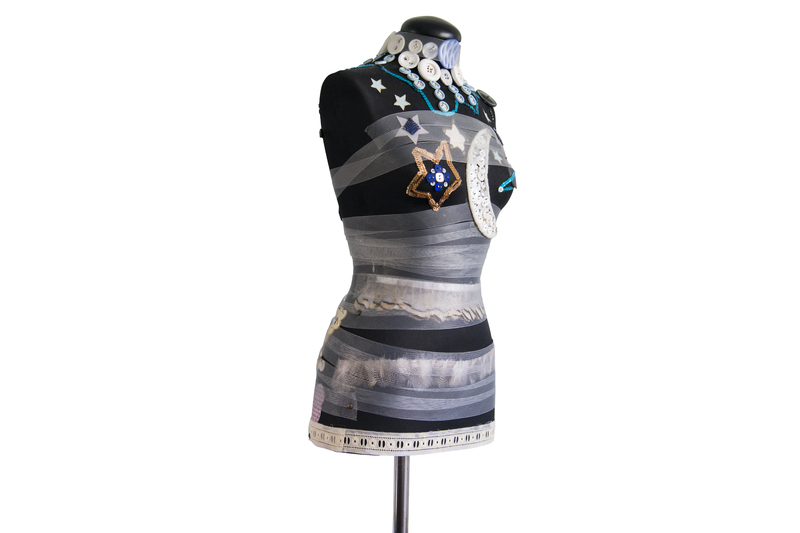 Each element uses an assembly of carefully selected decorative buttons, ribbons, sequins and feathers to convey the destination, as yet unknown. 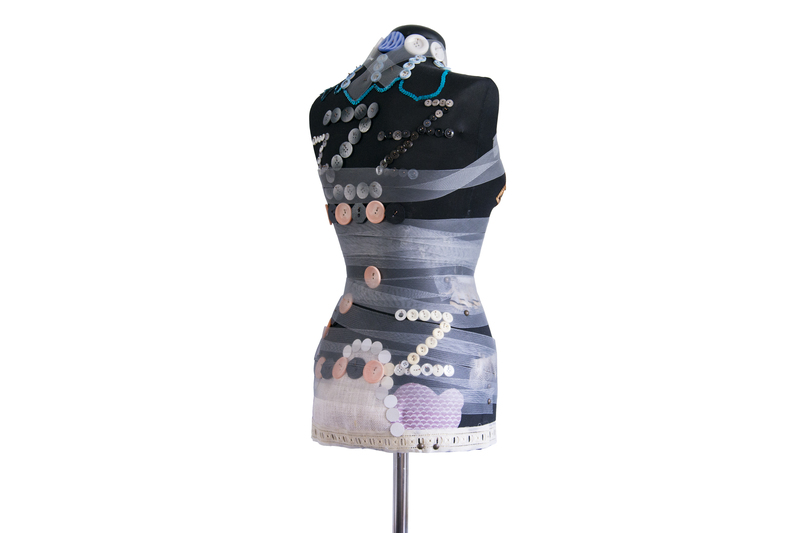 The transparent neck-piece, or mane around the mannequin and its clouds are meant to show that dreams are not always smooth and silky, but are sometimes troublin, and can be irreconcilable with our prevailing state of mind, and with our daily existence.